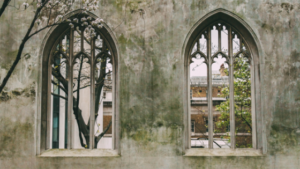 SoftWash Systems began 25 years ago as a desire to clean the exterior of buildings from damaging bacterial growth without harming the surrounding landscape. Since that time the company has grown in scope, function, and experience to handle numerous situations and levels of bacterial growth. No matter what you are dealing with, we have seen it before and we have handled it. IDW has achieved Five Star status within the SoftWash brand by going above and beyond. 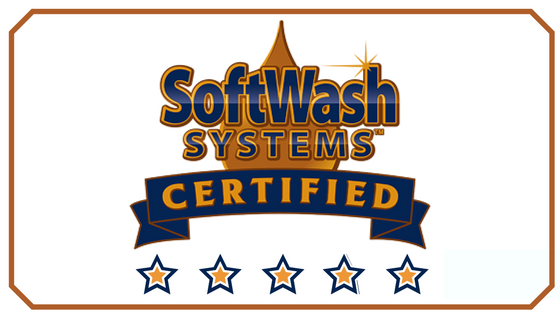 SoftWash Systems gives a Five Star rating to the best and brightest who have completed training above and beyond the norm. Five Star Companies have completed additional programs and capability levels in order to achieve the status of a highly decorated company in the network of SoftWash Systems. SoftWash Systems in-network companies have the ability to tackle more technically difficult properties and high profile projects. These projects include government buildings, theme parks, airports, hospitals and military installations. 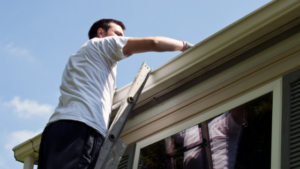 These sensitive situations and exteriors give us an additional level of knowledge that we can bring to your home or business and ensure that you have top quality care. Going ‘Green’ is not a new commitment for us. The core values of SoftWash Systems is stewardship and service above profits. We pledge to be Good Stewards of what we have been given and pass on a clean and healthy environment to those who come after us. As a customer of IDW, we understand that you are entrusting us with your property. We respect you for that as well as your home, water, air and surrounding property. IDW uses SoftWash Systems cleaners which are totally biodegradable. This means that our water-based chemicals break down within 20 days of being introduced to the environment. To us Good Stewardship means we leave no contaminants behind to harm your family and home. Because pressure/power washing only blasts away at the surface of the problem, algae, mold, bacteria and viruses can re-emerge from deep crevices to the surface. SoftWash Systems chemicals and equipment TREAT the viruses, mildew, and bacteria as pest instead of a stain. This means that it will last 4-6 times longer than pressure/power washing. This saves you, our valued client lasting results with fewer cleanings, and money saved. When you have algae growth your property is not just dirty, it is infected. Traditional pressure washing only resolves the symptom and not the problem. IDW provides you and your home with environmentally friendly treatment and solutions. Contact us today for an evaluation of any algae or mold growth on your roof, walkways, deck, fencing, etc. It is our pleasure to consult with you and present you with a Five Star course of action to keep your family and home safe.